All this was done so Scripture of prophets be fulfilled. All the disciples forsook Him and fled. Jesus was bound in the Garden of Gethsemane and led to the house of Caiaphas, where the scribes were already assembled. Jesus was led down the mountain, across the Kidron Valley, and up the ancient steps to the house of the High Priest. Was that night especially dark? Was the only light on the path, the light from those arresting Jesus? I wonder if even the insects and the nocturnal animals chose to just stay in that night? Jesus was arrested in the cover of darkness, where injustice and evil prefer to reside undetected by the light. Jesus even asks them why they took him in the cloak of night, when daily He taught in the temple, and at any time they could have seized Him in the light of day. The question went unanswered. 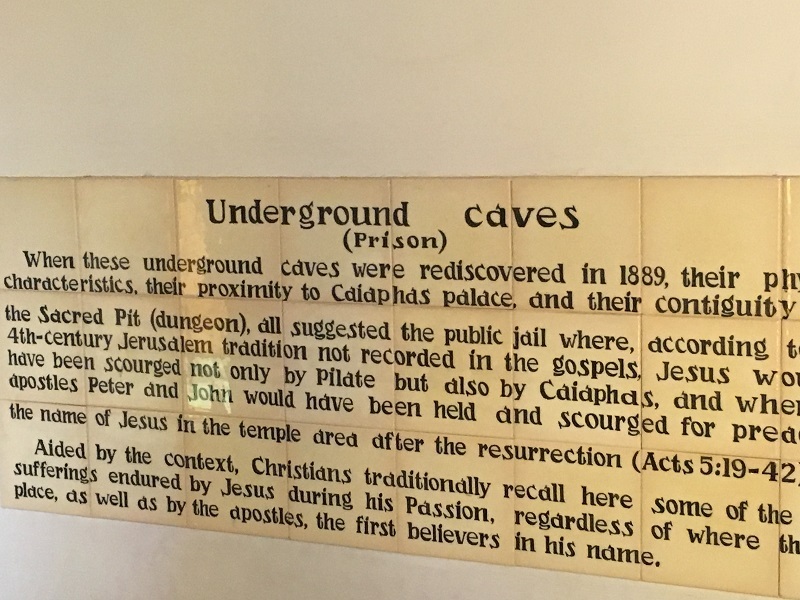 There was a group already assembled at the house of the old High Priest, Caiaphas. No wake up call in the middle of the night needed, it was as if everyone was on the same group texting thread and court was in session before Jesus arrived, like it was the norm…. away from the cameras and questions that would have been asked during the day. The first three, of six trials of Jesus would take place in the middle of the night. The verses, here in Matthew, say that all His disciples fled and forsook Him. None of them stayed to fight the mob. None of them stood in great faith. You see, the closest disciple of Jesus needs Him to die on that cross and rise from the grave just as much as the worst of sinners does. The Bible says, “we all have sinned” – Romans 3:23. It’s at this point that you see why God had to come personally. God could not trust this part, His suffering and death to just anyone. All of us would flee… BUT GOD loves us so much that He came personally, while we were enemies against Him, and died for us — Romans 5:8. The wages of sin is death — Romans 6:23. Someone has to pay that wage. We were not created to pay that debt or bear the wrath of God, so God bore it Himself — alone. 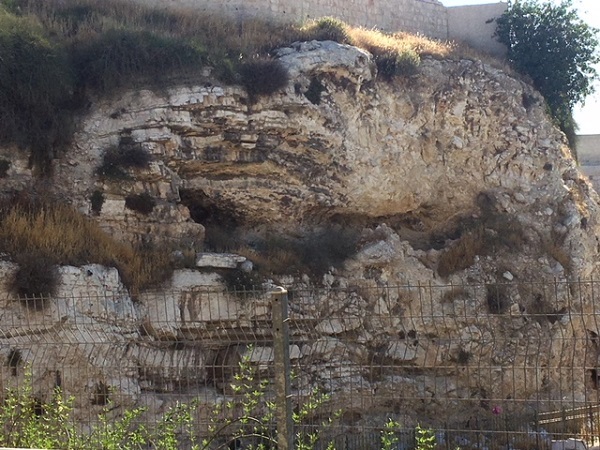 This past May, as I ascended those ancient steps to the house that is historically accepted to be that house of Caiaphas, my soul was stirred as I saw Psalm 88 in a new light. This house has been excavated in layers which shows that the “house” was much more than just a home: There is evidence of living quarters, but also, the size and how it is laid out shows that perhaps it was also used much like a governmental building of sort. It was much too big to just be a home, but what was found below was much more telling. 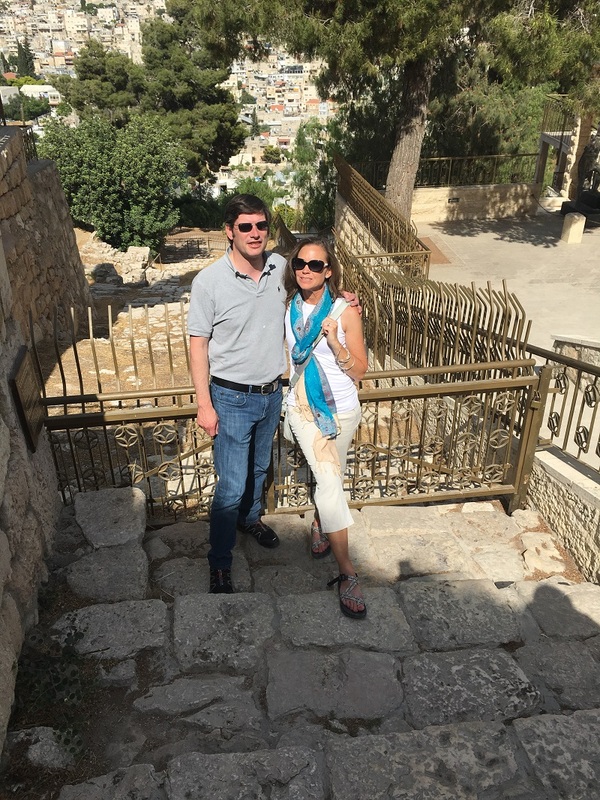 Will and Kendra Graham on the ancient steps to Caiaphas’ house. As you arrive, you enter a courtyard. Today there is a church built on this location. 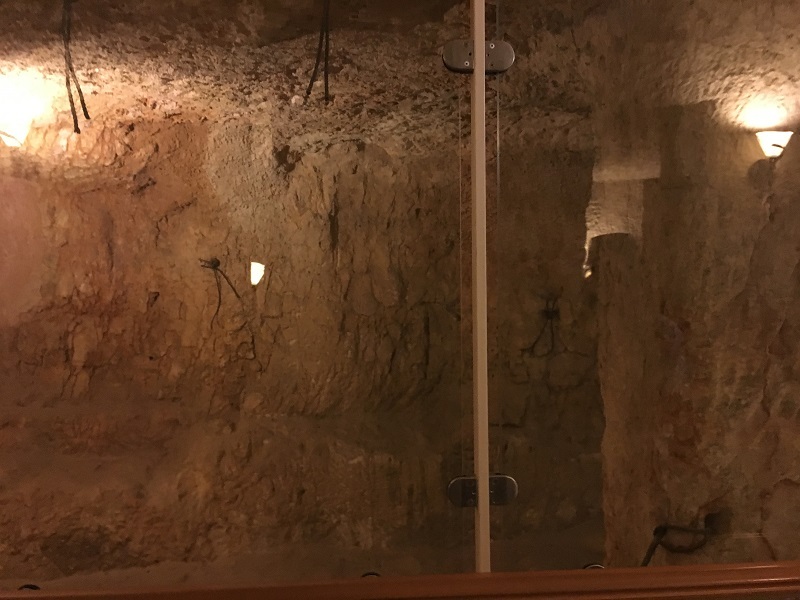 As you enter the church and begin to descend down, you see evidence of holding cells, or a small prison, which would not be a stretch to imagine that the home of the High Priest would have held religious prisoners. 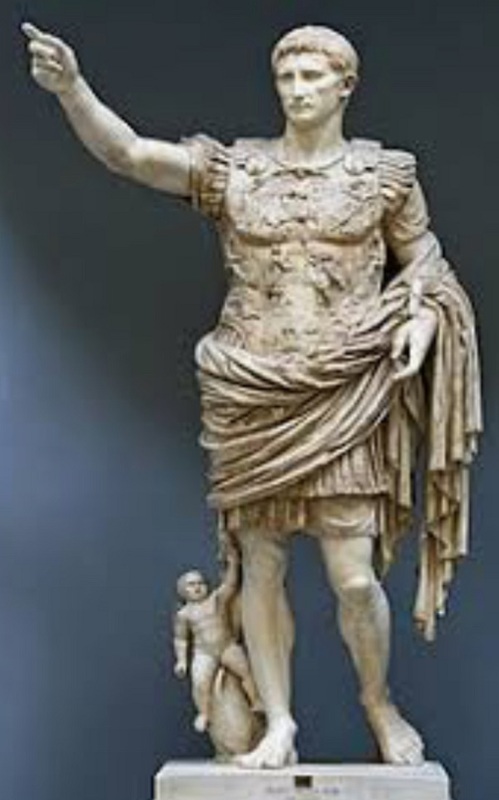 The Jewish leaders were allowed to hold prisoners, they were just not allowed in Roman control to execute them. Caiaphas’ courtyard, where Peter denied Jesus. 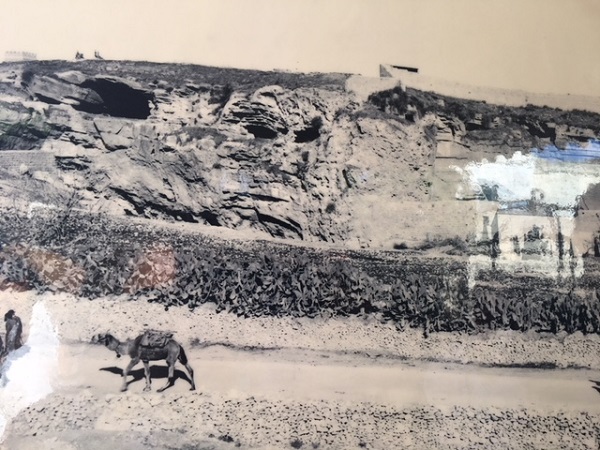 In this dark base of the home, there are holes cut out in the rock where leather straps would have been affixed to strap arms of the prisoners above their heads a little wider than shoulder length apart. Prison, with leather straps hanging from the ceiling, where prisoner would be bound. In this pit there was a place of solitary confinement where they would put the worst of the criminals. 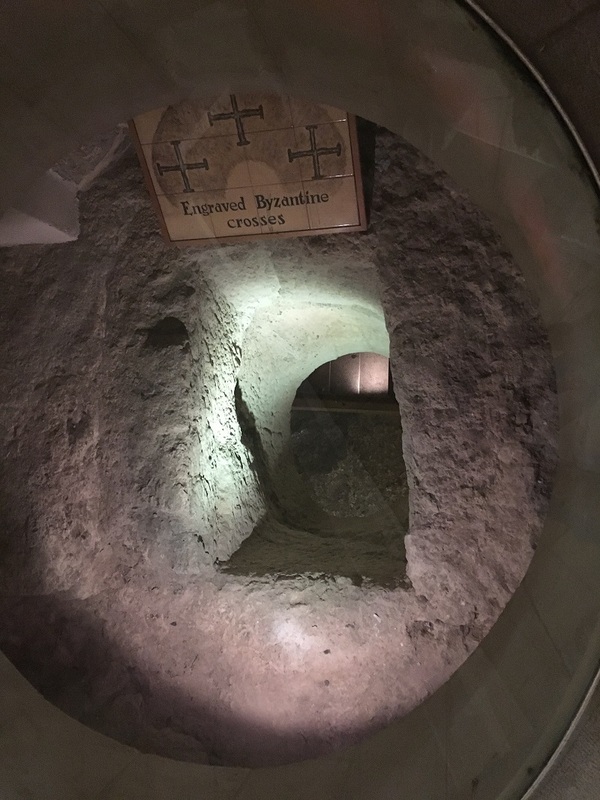 In this pit, there is a small hole from above, where the bound prisoner would have been lowered down into complete darkness. There would be no escaping if someone was placed here. 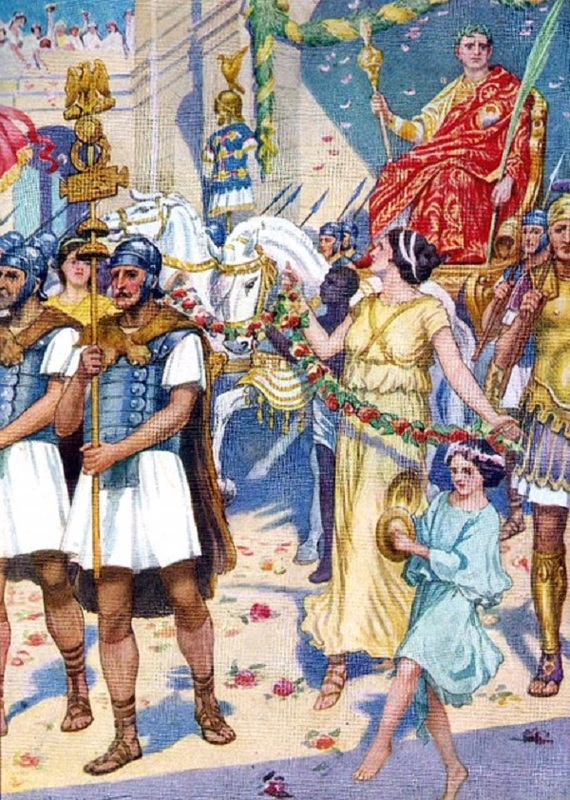 Between the Jewish trials and the Roman trials, there was a period of waiting for the palace to awaken and be ready for business. Is it too much to think, that Jesus could have been lowered into that pit, to await His trial before Pilate? May my prayer come before You; turn Your ear to my cry. I am overwhelmed with troubles and my life draw near death. You have put Me in the lowest pit, the darkest depths. My eyes are dim with grief. I call to You LORD, every day; I spread out my hands to You. Do You show Your wonders to the dead? Do their spirits rise up and praise You? Is Your love declared in the grave, Your faithfulness in destruction? Are Your wonders known in the place of darkness or Your righteous deeds in the land of oblivion? But I cry to You for help, LORD, in the morning, my prayer comes before You. Why LORD do You reject Me and hide Your face from Me? Your wrath has swept over Me like a flood; they have completely engulfed Me. You have taken from Me friend and neighbor, darkness is my closest friend. Can you hear Jesus pour His soul out? Alone, abandoned and bound. What prophetic words written by David, so many years prior to this night. Jesus, experiencing the complete and total wrath of God for us–instead of us. Jesus endured it all. God not trusting us, His hand-made creation, to anyone else, so He came personally to pay this incredible debt so that we can walk with Him, and know Him as we were created to experience. All this was done to prove the Scriptures of the prophets. God DOES love us! God is willing to give everything He has for us to be able to walk with Him and know Him! God really does look at us like a bride sacrificing all He has for our eternal safety (John 3:16). Jesus was abandoned, so we are not! This is the Gospel! This is the good news! Jesus was found worthy to the be Lamb at Passover for sin, once and for all! We have been #delivered from the darkness because He was bound and #delivered to the darkness! So come on! Come on! Let’s live bold and courageous, in the light, while there is still day, #Propelled to tell the Good News! God’s wrath has been stilled, by Himself. Even when all forsook Him, He refused to forsake us. 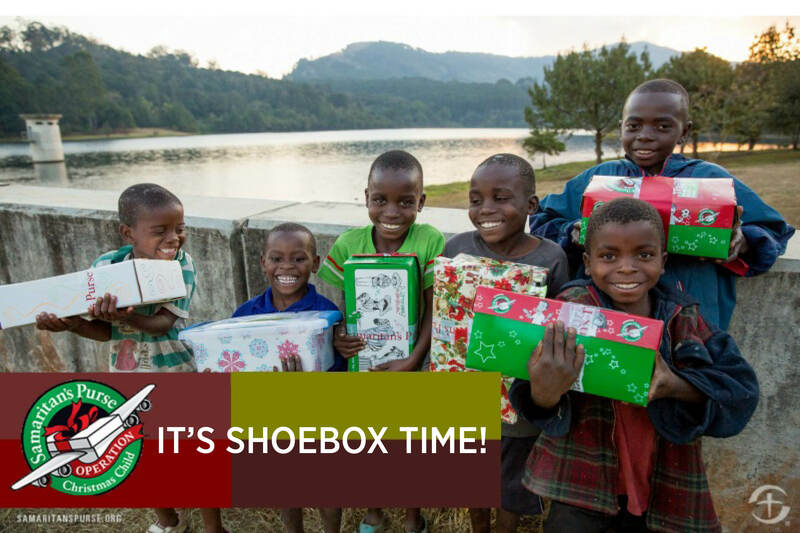 We are free, we are #delivered, so live #propelled2purpose. How often do we see what God isn’t doing for us instead of what He has and is doing for us? When was a time that I forsook Jesus, yet He refused to forsake me? Today, Lord, open my eyes to see your goodness and your faithfulness as I remember the suffering You endured on my behalf. 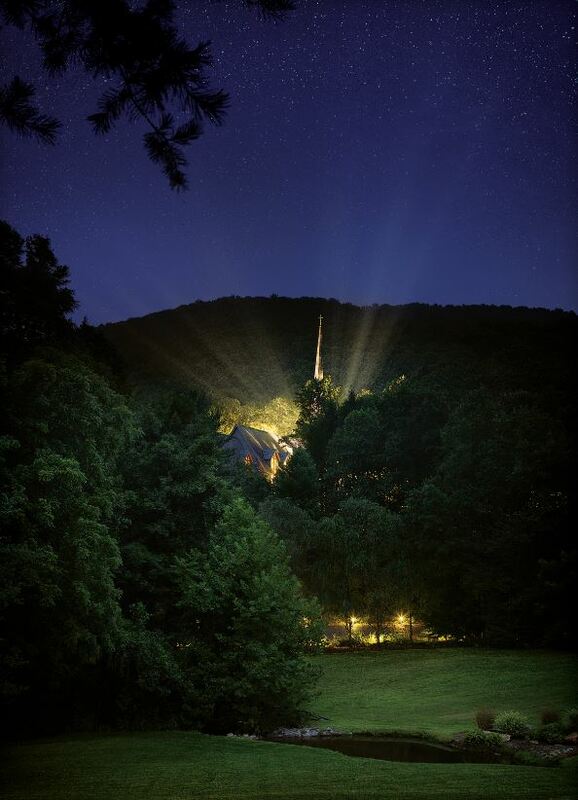 Summer has brought longer days and shorter nights, warmer air, afternoon showers, and beautiful fireflies to the mountains of North Carolina. 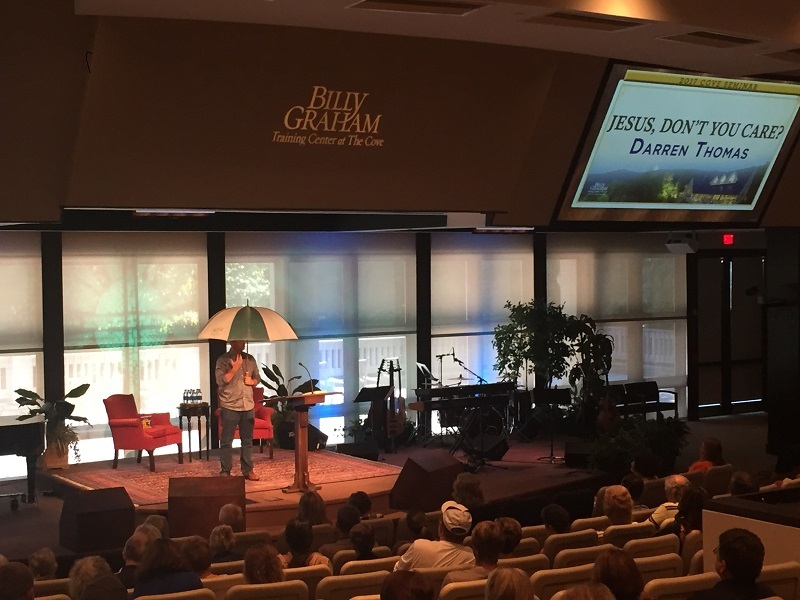 Last weekend, Darren Thomas led a seminar titled, “Jesus, Don’t You Care?” Darren spoke about how worrying puts us in places that God never intended for us. In the picture below, he’s illustrating the umbrella of faith. We must cast our cares on the Lord and trust Him with the outcomes. The umbrella of faith is a protective covering for us. Darren explained that when we worry, it’s like walking around in fear without the umbrella of faith. This week Dr. Woodrow Kroll led a 5-day Intensive Bible Training seminar. 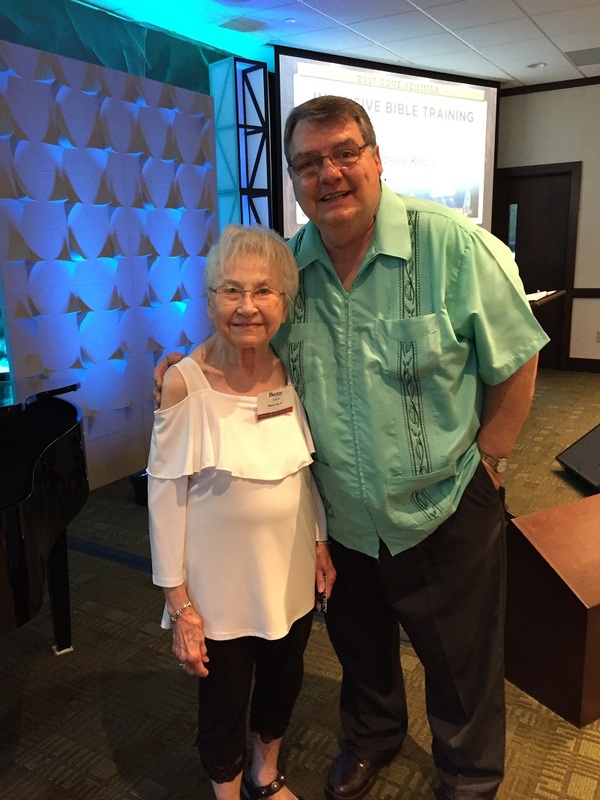 This is a picture of him with Betty, who has attended his seminars for 21 of the 23 years he’s been teaching at The Cove. That’s one committed student! What’s summer like in your neck of the woods? Have you ever told God what you would and wouldn’t do for Him? Some of us have ideas of what we’re fit for and what we would do if God trusted us with the spotlight. Peter was no different. Remember John 13:37…Peter announced he would follow Jesus to the death! Peter was impulsive and thought more of himself than he ought to at that moment. Peter is really no different from any of us, is he? Peter did what he wanted to do for Jesus in the way he, Peter, wanted to do it. That very night, after Peter made his bold claim, he was humbled after his multiple denials of Jesus. Peter wept bitterly (Matthew 26:75). Peter’s arrogance in leading the disciples, and showing them how things were done, had evaporated, melted away in shame and guilt. In Matthew 16:18, Jesus said that “Upon this rock, I will build My church,” meaning upon Peter, God would work to build His church. Was Peter’s providential purpose over? Was Peter no longer qualified? How could such a big thing be done through a denying disciple? Would that purpose now fall to another person who didn’t make such a big mistake? In John 21, Peter realized he did not agape (self sacrificing love) Jesus at all, but only had phileo (friendship). This was a blow to Peter’s ego and he knew his denial of Jesus broke Jesus’s heart. Peter is in pieces! Deconstructed all the way to the soul! Ahhhh…NOW Peter’s heart is ready. Jesus began the reconstruction process of Peter by publicly restoring him so that he and the disciples would know that he still had a purpose–a call on his life. Peter’s providential purpose did not change because of what Peter did. How many of us think we can change that purpose spoken over our lives by God Himself, because of something we do? That is pure arrogance. Peter was in need of restoration, and Jesus publicly restored his heart and reiterated his call! Peter had been #delivered from the guilt that his denials had on his heart, and was #propelled to follow through with his purpose, for the church, that Jesus stated with all authority back in Matthew 16:18! #Delivered and #propelled so Peter could tend the lambs and feed the sheep of the church in humility! Leading through humility! It’s the opposite of what most of us think or want to do. We want to be leaders, absolutely, but humility can find someone else to rest on. Peter did things the way he wanted before the cross, and now after the cross, Peter would do things the way Jesus asked. Peter went from following Peter’s ideas of what Jesus wanted, to following Jesus. Jesus tells Peter that he will indeed follow Him to his death. Peter will be bound as Jesus was bound. Peter will glorify God in his life and his death. A hard but encouraging Truth. Jesus ends Peter’s moment of restoration with the same question He began with three years earlier, Peter, “Follow Me.” THE CALL NEVER CHANGES! Jesus will not force Peter to do that providential purpose He has for him, but simply asks and then waits for a response. This is what it will look like Peter, are you in or out? Today the question remains the same, to you and to me. Jesus invites us to follow Him. Will we follow, or will we choose to miss everything we were created for? Do we want to give Jesus an approved list of things we are and are not willing to do? Or will we simply, day by day, just follow Him? Do we prefer to lead in arrogance, trying to press God into our mold, or will we allow God to reconstruct us and restore us to follow Him and lead others in humility? Don’t refuse to be restored. Allow God to bring out what has been hidden so you can be #delivered, #restored to LIFE, and then #propelled to His purpose. God’s purpose for you is a bazillion times better than your purpose for you… we just have to give up control and follow… bound to whatever and wherever He leads. Are you fighting the restoration process because you would rather things stay hidden in the dark? Sometimes we fight restoration because our lives are being choked by guilt. Do you think you have ruined and soiled any purpose God may have had for you because of what you have done? Are you willing to ask God what His purpose for you is, and then to follow as He restores you? Are you willing to allow God to #deliver you and then #propel you to His purpose? Why are you fighting so hard against following Jesus? Put honest words to it. Today… Lord, help me follow where You lead. Begin that restoration process on my soul, and as you begin to sand away the rough edges, and de-construct things to re-construct things… give me the courage to allow You to do so. I cannot follow without Your strength, courage and love. Help me to follow You in humility. Jesus had spoken these words, went forth with disciples over ravine, where there was a garden, into which He entered and disciples. Judas betraying Him, knew the place, Jesus often met there w/ disciples. Night had fallen. Jesus had taken time out with His disciples in the upper room, breaking bread with them and pouring wine, symbolizing what was to happen within the next 24 hours. Judas had left the last supper to go and do what he intended to do. Jesus went forth. Those are powerful words… Jesus went forth, knowing what Judas was in the process of doing, knowing what was on the horizon, knowing that truly His body was going to be as broken bread and poured out wine…. yet…. He went forth. Jesus and His disciples made their way through the city, out of the east side gate, over the ravine of Kidron, and into the garden. Was there a chill or a dampness to the night as they approached the little brook there? Did the disciples have to tighten their outer garments to keep warm? The garden was in sight. This was a garden place that the disciples knew well… ALL the disciples knew well, even Judas. Jesus could have gone to a different garden… a different town… but no, this night, this is why He came, so He went forth. How often had Judas met Jesus there? What sermons, what individual chats did they all experience, there in that place that were not written for all of us to know? How personal was this place to them? To Judas? Very personal… they knew it… the words are not… “Yeah… I think I know where you are talking about…” or “Let me pull that up on google maps”… Jesus met OFTEN there WITH them– THERE–His disciples, His best friends. Have you ever wondered if the reason Jesus often met there, in that garden place, was to ensure that this moment, this night would happen? You see, we desperately need Jesus to go through with this, or we are doomed. Every person who experienced a miracle in the ministry and life of Jesus, needs Jesus to go through with this night, lest their infirmity be returned 100 fold…. we were not created to carry the burden of our own sin…. so Jesus went forth, leading the charge, not hiding from it, compelled by His great love for us–His handmade creation. 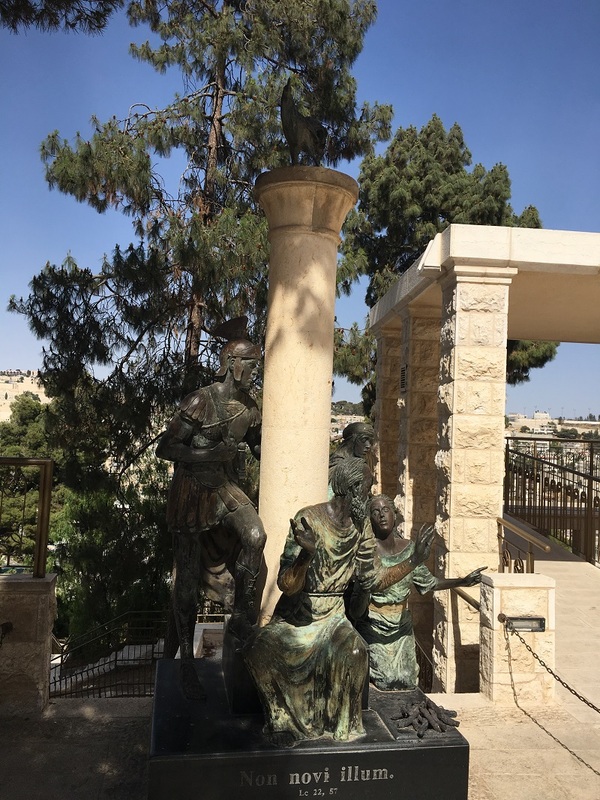 This particular garden is located on the east side of Jerusalem and in a few hours from this moment, Jesus will be drug from the east side of Jerusalem, and in the end will be lifted up high on a hill, on a cross on the west side of Jerusalem. Jesus will complete it all, for all. Sin will be put away as far as the east is from the west. So, you see, we need Jesus to not shrink back here, and so Jesus went forth. Jesus went into the garden that night, not only to pray for the strength needed, but He went to that garden–to that place–that night, to be found, by the one betraying Him. Have you ever thought about that? Jesus did not go to hide, He went to be found. Jesus came to be found by you and me, so He shows up in places that we know well, so that we won’t miss Him. I reflect back in my childhood all the way through today, and I see distinct places where Jesus was found along the way. I see His providential hand moving the scenes even if I missed it at the time. Jesus came to be found by you, too! 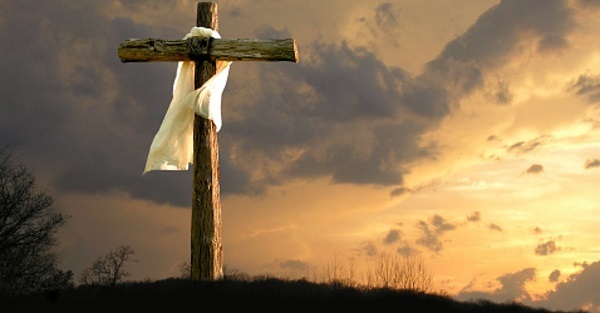 If you have never found Him, spend this time before Easter, in this period of lent, looking for Him, asking Him to open your eyes, so that you can see Him. Jesus endured this night, not to play some mystical hide-and-go seek game with you… but He went forth to be found. Don’t miss Jesus this Easter! Where can Jesus be found in your life? Will you ask Jesus to reveal where He is, if you cannot see Him? Sometimes, it comes down to the fact of our pride… we don’t want to know because we want the excuse that God has abandoned us… but God with skin on went forth to be found this night in the garden… for you, and for me. Let’s start fixing our hearts on the Truth, even if it’s hard. Today, see where Jesus can be found in my life, whether it be in an ordinary or extraordinary place, and thank Him specifically for that. This photo was taken last year one night after an Evening at The Cove concert. We share it with you today, the last day of 2016, as a symbol of hope. We pray 2017 will be a year filled with God’s blessing, peace, comfort, direction, and presence in your life. 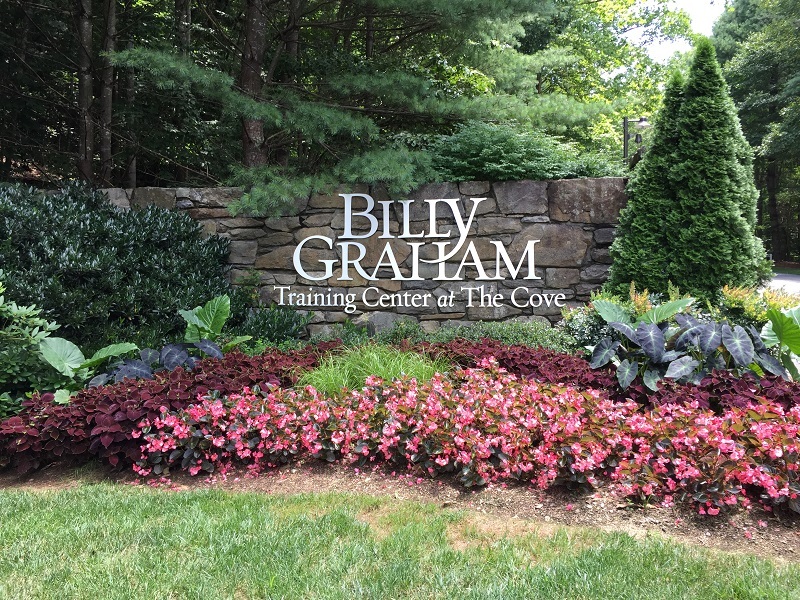 For those of you making New Year’s resolutions, here’s an answer Billy Graham once gave someone who asked. Every year I come up with a long list of New Year’s resolutions, but then I end up not keeping even one. I’m sincere when I make them, but then they somehow fall by the wayside as time passes. What’s my problem? God must be very disappointed in me. I suspect many readers could echo your words. After all, each of us wants to become a better person and have a better life—and yet it eludes us. Even the Apostle Paul admitted, “I have the desire to do what is good, but I cannot carry it out” (Romans 7:18). Sometimes our New Year’s resolutions fail because they aren’t realistic—and frankly, there’s no use including something on our list that simply isn’t going to happen. Others fail because we don’t take steps to make them happen—that is, we have no action plan. In other words, we wish for something to happen—but that’s all it is: a wish. Still others fail because we aren’t willing to make the sacrifices that are necessary to bring them about. But we also fail for a deeper reason: We don’t have the moral and spiritual strength within us to live the way we know we should. We need God’s help—and yet in our pride we refuse to turn to Him, and we try to improve our lives without Him. As a result we fall short. At the beginning of this new year turn to Jesus Christ and commit your life without reserve to Him. Then ask Him to give you the strength to become the kind of person He wants you to be. Make Jesus’ words your guide: “But seek first his kingdom and his righteousness, and all these things will be given to you as well” (Matthew 6:33). 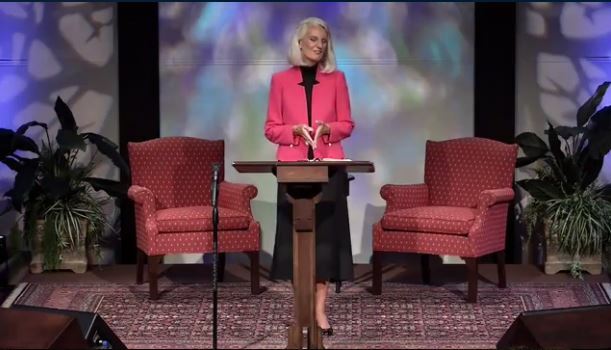 Nearly 500 guests joined Anne Graham Lotz, Jonathan Cahn, and special guest Bill Koenig for a prophecy seminar and study on the book of Joel here at The Cove last weekend. 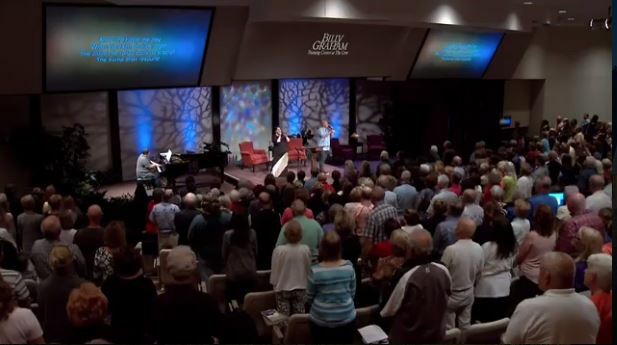 An additional 800+ people from 9 countries opted to join us online for the simulcast from the comfort of their own homes. Isn’t it amazing how technology connects us! Just like here on our blog. Wake up and keep watching for Christ’s return. 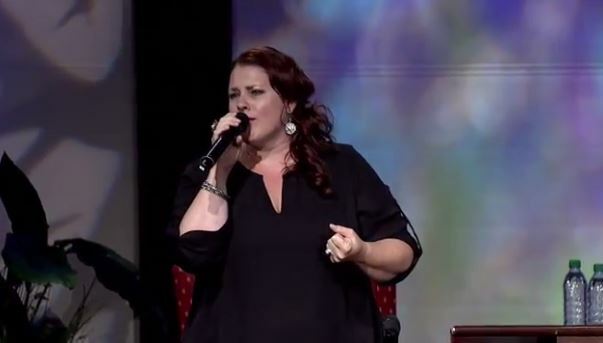 Amy Perry (Selah) singing “It Is Well With My Soul”. 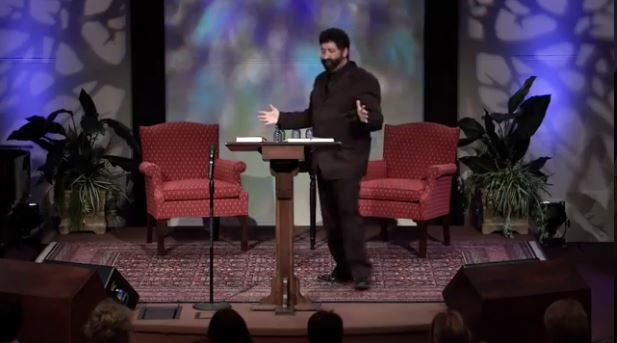 Jonathan Cahn, pastor, Messianic Jewish Rabbi, and author of The Harbinger. 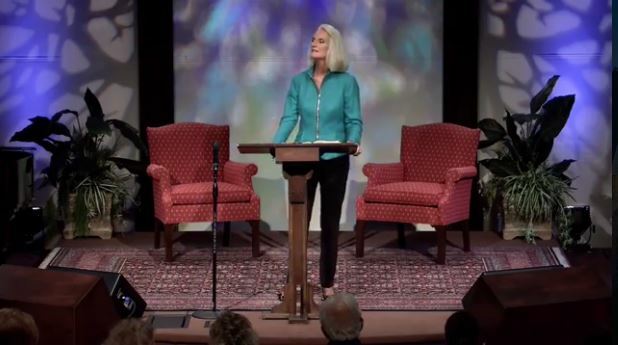 If you’d like to access a replay of the seminar, you may purchase on-demand access to the five sessions individually by clicking here. You may also purchase the CDs, MP3s, and DVDs of the full seminar through our bookstore by calling 1-800-950-2092 (menu option 3) or emailing bookstore@thecove.org. We’d love to hear from you. What have you got planned this weekend? Let us know in the comment section below. Make sure you don’t miss a post, just enter your email in the “Subscribe Via Email” in the upper left hand corner of our blog. It’s free and you’ll receive these post straight into your email inbox. THE FACTS: Trust in the LORD with ALL your heart. Lean NOT on your own understanding. In ALL your ways submit to Him. He will make your path straight. THE LESSONS: UGH. That’s what these verses mean, in a nutshell, to me. These verses are HARD for me. 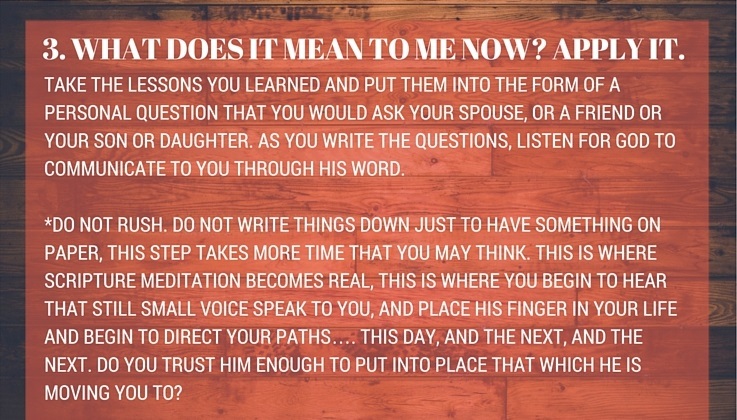 “Trust in the LORD, lean not on you own understanding…” These statements are hard for me to both process and implement, especially when life involves trusting God with your children. One of my girls right now has been placed–providentially–in a HARD situation. She feels overwhelmed, under-qualified, like she carries the pressure of the world on her shoulders. She’s struggling, stumbling and drowning. As a parent I want to sneak into her brain and her heart and help her to feel courageous and confident in the fact of God’s promises. I can’t do this for her. The choices are hers to make. UGH! It’s interesting how I can see where and how my daughter needs to have faith, walk in confidence of God’s promises, and know who He is, when it comes to her situations. Yet, when it comes to me doing the exact same thing in my own situations, I freak out, feel overwhelmed, and think God has abandoned me. Hmm, I wonder who she learned this from? God is working out in each of us the exact same thing: TRUST/ FAITH. A life of trusting in the LORD and not on our own understanding will never become a reality except through CONFLICT. There are situations where we don’t want to trust in the LORD, or we want to lean on our own wisdom and understanding. We’re convinced that our own thought processes are logical and make sense, and from our point of view, God’s thought process does not. Trust, by definition, isn’t trust without being tested and proven. God allows us to be in places where we have a choice to make: 1. Trust God and His Word and that His promises will hold, or 2. Trust ourselves and our limited view of the event. All too often I veer off and choose #2, because I like the illusion of having control. God is good, and loves us enough to place us in circumstances where we’re required to make this choice. Oh, how He pleads in His Word with us that we would trust in Him–trust that He will make our paths straight, and that as we model that choice to our children, they would, in turn, understand that as God’s promises hold for us, those same promises will hold for them. Regardless of choices made by others, may it be said of us, that we will submit our ways to the LORD. This is SO HARD in the here and now, but the result is promised, “He WILL make our paths straight.” We must believe that what God has said He WILL do–He will indeed do–and in spite of not understanding or seeing the end before the beginning, we prove our trust/faith as we take one step at a time, minute by minute. APPLY IT: In what ways is your faith being tested? What is challenging your trust in God right now? Will your choice prove your faith in the promises of God or kill it? Where do you need to submit your ways to Him? How will you do that? LIVE IT OUT: Oh Lord, give me strength, for my strength fails me continually! Help my unbelief as You guide my feet and give me the strength to step forward on Your promises and not to run in fear. You have not given me a spirit of fear, but of power, love and a sound mind (2 Time 2:16). Today, I will choose to put my hope in You and will determine to praise You, my Savior, My God (Psalm 43:5). Help me to trust the hardship of my children to You, as You are working out in them the exact same thing You are working out in me! To see more of Kendra’s Bible Studies, click here. THE FACTS: Have I not commanded you? Be strong and of a good courage, do not tremble or be dismayed, the LORD your GOD is with you wherever you go. THE LESSONS: Well, here we go! It’s the last week before school officially starts. I don’t know about you, but for me, as I look to this year, I see all the places I need to be and the commitments I’ve made, and instead of being excited and ready to conquer the new school year with fresh energy and focus… I kinda want to hide. Schedules…demands…yuck! Gone are the days of sleeping in and enjoying the summer. Now it’s off to science fair projects and research papers. I have three kids: one in high school, one in middle school, and yes, one in elementary school…just to keep things going in completely different directions! When I asked my kids about what they are looking forward to this year, all of them expressed…. fear. The girls are afraid because they are on new travel soccer teams and they don’t know the girls or the coaches. My middle school daughter is afraid because this will be her last year in a school she absolutely loves. My youngest and only son is scared because he is homeschooling this year and is afraid his teacher may lose it come Christmas. 🙂 OK, that is a REAL fear! I am afraid because what if I can’t homeschool adequately? What if I can’t get these girls to their games across the wide blue yonder each weekend? What if the school work load is too hard and these children need more help than I have time to give them? Fear…. fear… fear. Fear keeps us from doing that which God has called us to. I may not be preparing to march around Jericho, but I sure feel the impending battles that are just around the corner. 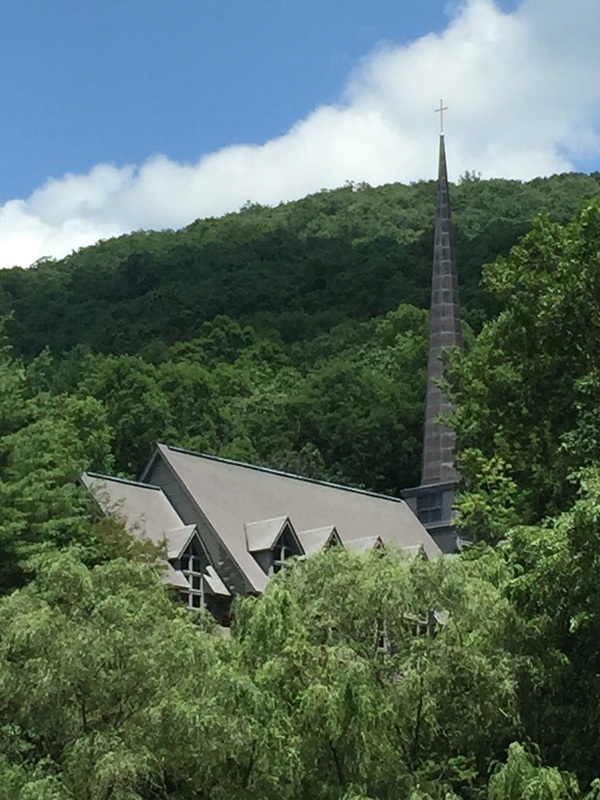 Has God really called me to where I am? What is it God is doing this school year in our family and among all these schools and teams we are part of? I go back to Joshua 1:9 often because it reminds me that God knows that fear is a very real emotion that we battle with. God did not chide Joshua for having fear, but He did call Joshua not to give in to fear. We have a choice who we give the power to in our lives. Fear is our natural response, so we must saturate ourselves in the Word of God on a daily basis. This is our only hope. We need to determine to trust that God IS with us and will lead us. Setting our hearts and minds to believe the promises of God as we step out daily is a HUGE challenge, but so worth it. God loves to leave us in these dependent situations, where we can’t even begin to conquer or vanquish all that is demanded of us. This way, God stays at the forefront. As the academic year begins and we feel pressed upon and pulled in so many directions, may the first direction we determine to set our feet, eyes and heart in, on a daily basis, is in the Word of God. In the Joshua 1:8, it says, “This book of the law shall not depart from your mouth, but you shall mediate on it day and night so that you may be careful to do all that is written in it; for THEN you will make your way prosperous and you will have success.” Success summed up: Stay in the Word of God and follow His lead…. day by day, by day. Let’s dedicate to do that this school year, and show our children what courage looks like. Courage is following hard after God. Just do and go where the LORD leads today, then again tomorrow…all for His glory. I love the quote accredited to Ambrose Redmoon: “Courage is not the absence of fear, but rather the judgement that something else is more important.” As my kids and I discussed our fears, we came up with the promises of God that we can focus on instead. Fear quickly turned into anticipation of what God will do and how He will accomplish the impossible in our personal lives. God is faithful and true (Revelation 3:14). God will not leave us or forsake us (Hebrews 13:5). With God ALL things are possible (Matthew 19:26). Our God reigns (Psalm 93:1). APPLY IT: How have you given in to fear instead of faith? What promises of God do you need to claim to get through the day? Are your eyes seeking to see things beyond today? Will you determine this school year to begin your day with your eyes and heart set in God’s Word? Where is God calling you to be courageous? LIVE IT OUT: TODAY, I will claim the promises of God as I go out. LORD, may You and Your promises trump all fear, and give me the courage to tackle what You have set before me this day.